<< Back 67-69 StreetGrip Suspension System - NEW! 67-69 StreetGrip Suspension System - NEW! TO GET THE BEST PRICE AVAILABLE, PLEASE HIT THE "REQUEST A QUOTE" BUTTON, CALL OR EMAIL FOR ANY CURRENT PROMOTIONS! This kit is the most advanced, complete, affordable and all USA made kit on the market. 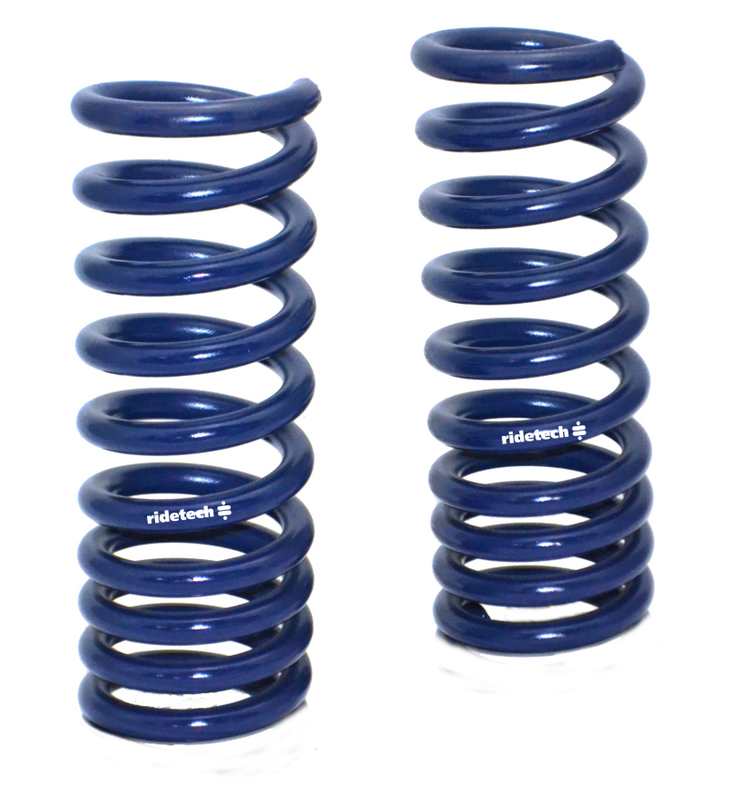 It offers the best ride quality of any suspension system available. It will work with your stock 14"+ Wheels too! 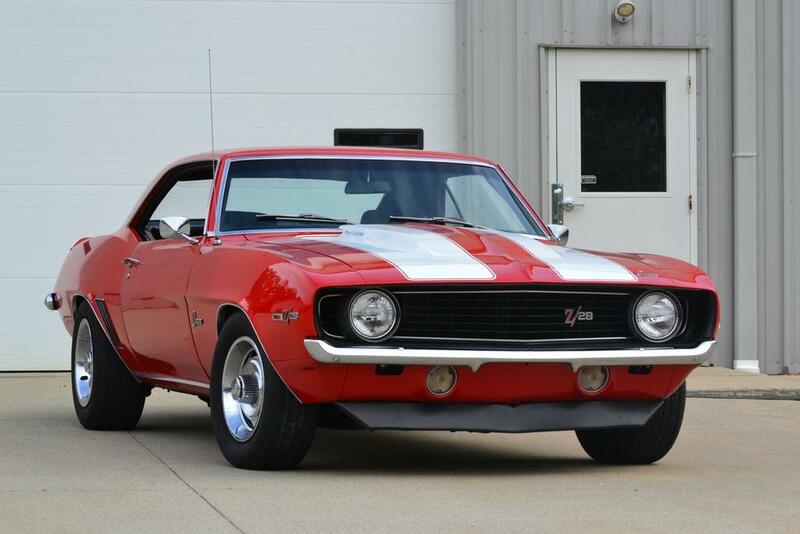 This is an easy one day project that will transform your stock or modified muscle car into one you ENJOY driving, with a comfortable ride and great handling, all froma kit that comes in ONE box! This is due to the ultra high quality Ridetech/Fox Billet MonoTube Shocks, which are the HQ - Single Adjustable series, allowing you to dial in the ride quality to suit YOU! The USA Made Hyperco Springs in this kit are a "Progressive Rate" meaning when you are cruising down the road, you are riding on the softer part of the coil. As the coil is loaded up (cornering) it gets stiffer to help keep the car level and in control. The Hyperco composite leafs reduce unsprung weight by 50lbs! This improves ride quality and handling as well. The new heavy duty Powder Coated front Sway Bar has been tuned perfectly to the rest of the system. 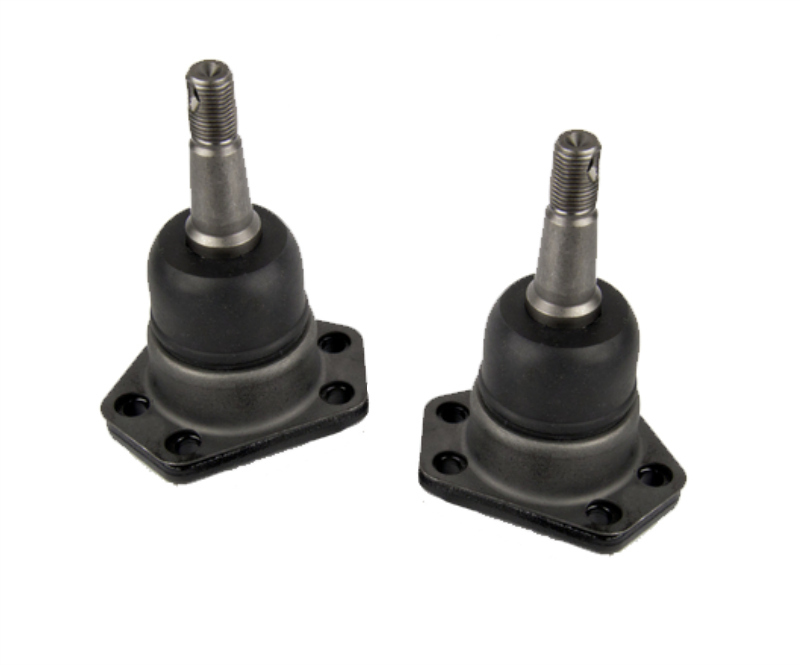 It includes new Delrin frame bushings and new end links as well. The Taller Upper Ball Joints play a major role in this kit. The stock suspension geometry in our cars was horrible! There was far too much "Positive Camber" in the system. This caused the tires to roll out in a turn, giving you much less tire contacting the ground, who wants that?! The height of the spindle was a major contributor to this. By swapping in a taller upper ball joint you increase the distance from the upper and lower control arms, this will reposition the control arms to correct the camber curve, giving you a much more stable and enjoyable driving and cornering experience. The (8) included Front, Upper and Lower Delrin Control Arm Bushings are a major upgrade as well. The OE rubber bushings allow too much deflection on the arms. Poly will resist smooth rotation and impose stiction. Delrin eliminates these issues, leading to a huge improvement in both ride quality and handling. 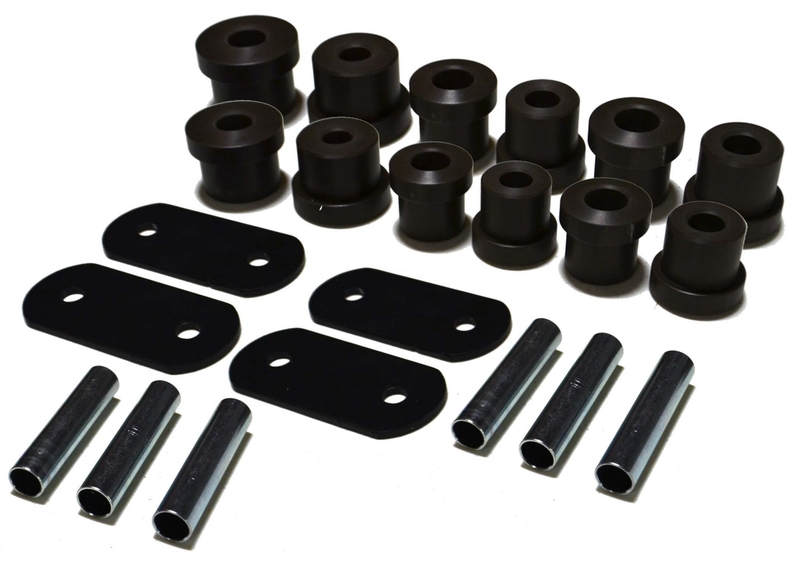 The Rear Leaf Spring Delrin Bushing kit includes all 12 bushings you need for the frame, the rear of the leafs and the front of the leafs. It also includes new shacles and sleeves! 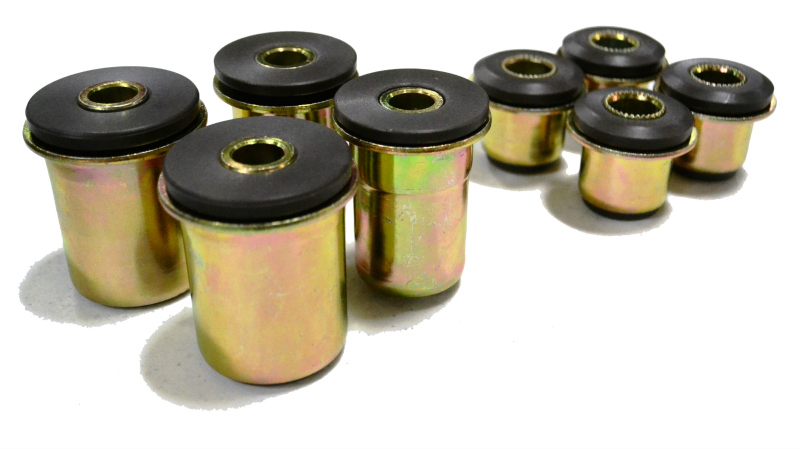 These offer the same benefits as the front Delrin bushings do! Ride Quality -- EVERYONE is concerned about ride quality...ALL the time. If it does not ride good, you'll never drive it enough to appreciate the good handling! Handling -- We have optimized the handling characteristics not for competition tires, but for real-world street tires that will see thousands of highway and backroad miles. Ease of Installation -- No cutting...no welding...no fabrication...no modifications to fuel lines, brake lines, or exhaust. 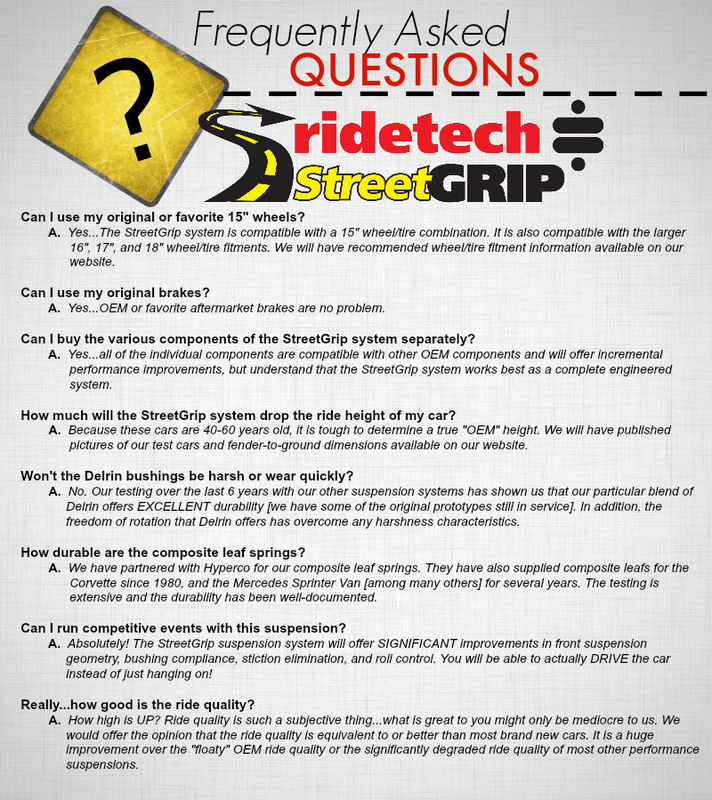 The StreetGrip system is a DIRECT replacement for your OEM suspension components. Complete System in One Box -- No worries about compatibility of various components...nothing else to buy. Why? 70lb weight savings in unsprung weight will improve handling and ride quality. These composite leafs also incorporate more torsional strength so any "spring wrap" is eliminated. Why? A dual-rate spring will allow the vehicle to transition small road irregularities via a compliant spring rate. When the vehicle compresses the spring far enough (through large bumps or cornering), it transitions to the firmer spring rate to control the bump or body roll. This is a common concept in the OEM world to achieve the best combination of ride quality and handling characteristics. It is much less common in the aftermarket because of the time required to calculate and test the various combinations. RideTech and Hyperco have invested this engineering time to make sure we achieve optimum performance. Why? OEM rubber bushings allow too much deflection on the control arms. Poly bushings resist smooth rotation and impose stiction. Delrin bushings eliminate the deflection AND the stiction leading to a huge improvement in both ride quality and handling. Why? Most OEM front suspension geometry, in addition to being designed over 50 years ago, induced "positive camber" when cornering (loaded tire leans away from the turn). This is a huge compromise in cornering performance and feel. By installing a taller set of balljoints, we reposition the control arms to correct this condition and create a much more stable and enjoyable driving and cornering experience. Why? Most OEM front swaybars were calibrated with tires and cornering loads that were radically less capable than today. We increase the diameter of the swaybar to minimize the body roll through the corners to optimize the handling performance. Why? Similar to the control arm bushings, OEM rubber swaybar bushings allow too much deflection and poly bushings impose too much stiction. RideTech's exclusive Delrin-lined poly swaybar bushings offer the best of both worlds...minimal deflection and virtually zero stiction. Ride quality and handling performance are greatly improved. Why? 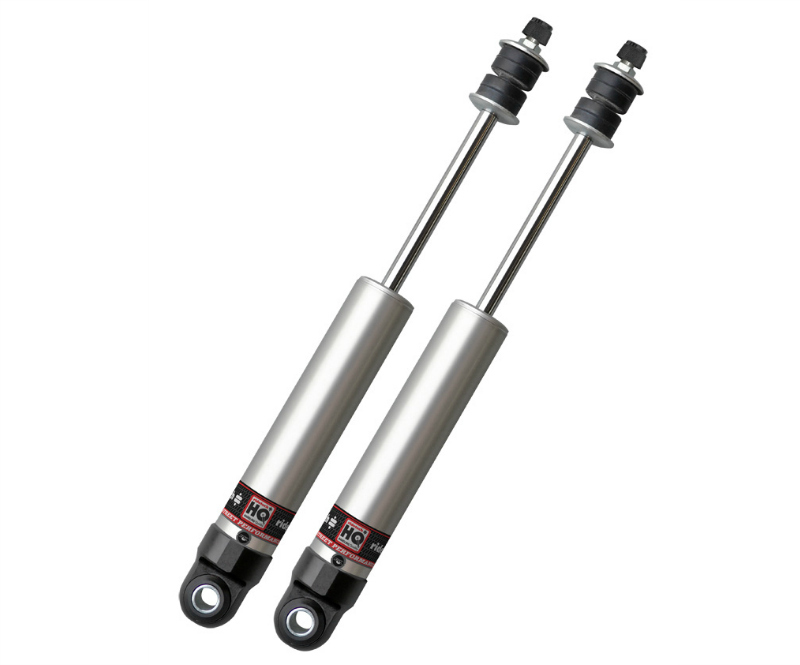 Shocks are the brains of your suspension...the single most important influence on ride quality and handling performance. RideTech and Fox have spent years refining the subtle valving characteristics of these monotube shocks to optimize the performance of YOUR car! FREE SHIPPING TO THE 48 STATES PACKAGE DEALS AVAILABLE, PLEASE CALL! 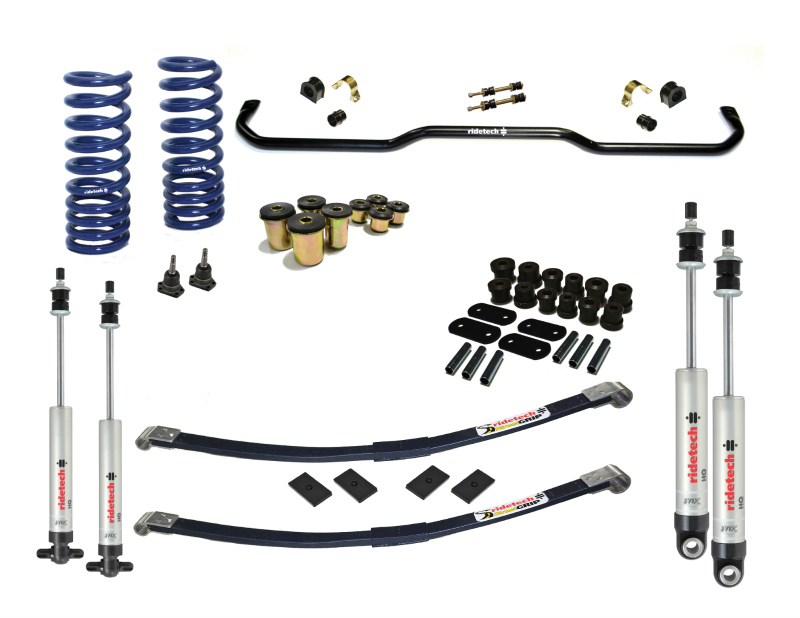 RideTech continues to offer today’s hot rodders the ultimate in ride quality, handling performance, technical support, and now, SIMPLICITY, with the new coilover suspension components.